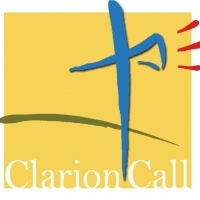 A Clarion Call: Bear ye one another's burdens, and so fulfil the law of Christ. A few months ago, many of our pastors and churches responded to the needs of our brothers and sisters in both Columbia, South Carolina and the Bahamas as they faced the devastation wrought by the severe flooding in those areas, providing much needed resources for them. For your contributions and your prayers, I sincerely thank you and pray God’s blessings upon each of you. As with our brothers and sisters in South Carolina and the Bahamas, disasters arise, unknowingly to us when, where and upon whom. As Christians in the brotherhood of Christ, just as it is ours to rejoice with others, it is likewise our responsibility to come to the aid of those in need. Our brothers and sisters across our country are facing similar disasters, whether man-made or natural. In Flint, Michigan there is an immediate need because of excessive amounts of lead in the drinking water that has caused physical and monetary needs for its citizens. In addition to the crisis in Flint, the states of Mississippi and Alabama recently experienced damaging tornadoes, and the northeast region of our country was deluged with the onslaught of massive amounts of snow and ice. All are in need of our support, and it is ours, as National Baptists and Christians in general, to respond as mandated in scripture to bear the burdens of others and so fulfill the law of Christ (Galatians 6:2). Therefore, I am compelled to appeal to our pastors and churches for financial and spiritual support for them. To meet their needs, I am requesting that each church sends funds for disaster relief in those areas. I am requesting that all funds are submitted within the next thirty (30) days. Checks should be made payable to the NBC, USA, Inc. Disaster Relief Fund. Checks should be mailed to the Baptist World Center, 1700 Baptist World Center Drive, Nashville, TN or to New Hope Baptist Church, 5202 Watkins Drive, Jackson, MS 39206 to the attention of Sister B. J. Wells. Know that all monies received will go directly to our disaster relief efforts. Thank you in advance for “bearing one another’s burdens” in such a time as this.